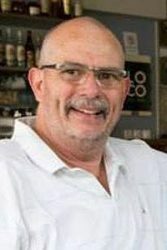 Australian Humerloc Douglas crossed the finish line first in the 4th Annual Crete Half Marathon which took place in Arkalochori this weekend. Douglas outclassed an international field by nearly 2 full minutes to win the feature race. But for participants and spectators, this year’s race had no losers. 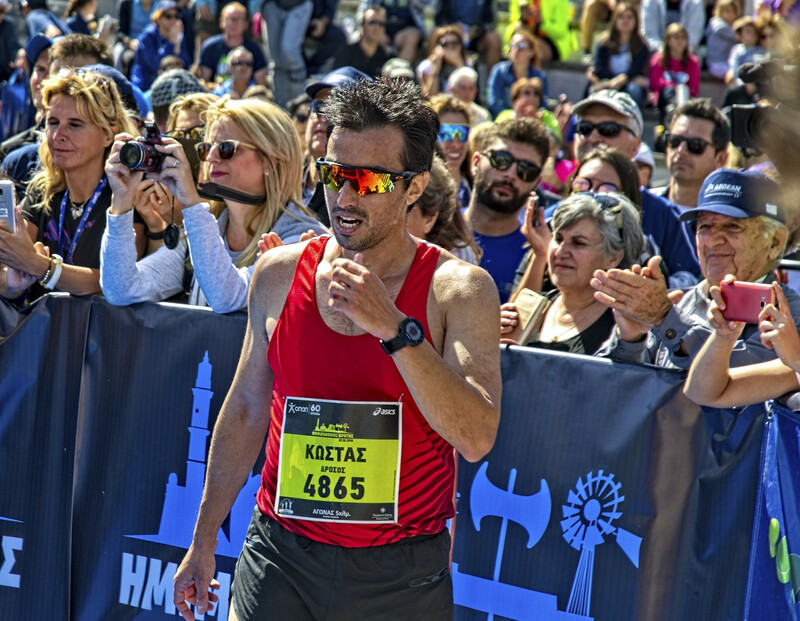 Among the other athletes placing the various races this year were: Eleytheria Petroylaki, the top female competitor; Stayros Zagkanas, winner of the 10k event; Panagiota Blaxaki , who beat out Amanta Lementzogloy in the 10k; Kostas Drosos (below), who edged out Giorgos Mastorakis in the 5k; and Marina Maniadaki, who was the first female finisher in that event. 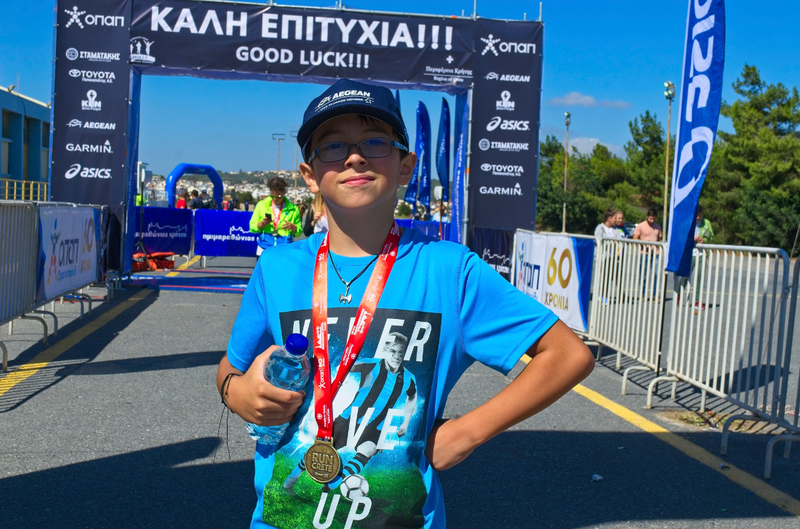 We were in Archalachori, which is in the center of the Heraklion Prefecture, so my 10-year old son Paul could take part in the 5k event. For those unfamiliar, the Half Marathon in Crete is an international event that drew over 4,000 participants from Greece and other nations, who ran a scenic trace through one of Crete’s oldest towns. The event was organized by the Arkalochori Sports Health Association, the Region of Crete, the Municipality of Minoa Pediada, and the cultural associations of Arkalochori, Sumerian, Galatas, and Thrapsano. Sponsored by brands like Aegean Airlines and ASICS athletic shoes, this year’s event was beautifully organized. The Crete Half Marathon of 2018 was as much a cultural event as an athletics competition, at least in my estimation. Watching and experiencing the pure spirit of sport colored by Cretan goodness, hospitality, and enthusiasm, Sunday’s festivities were a bit of amazement for this new resident of the island. 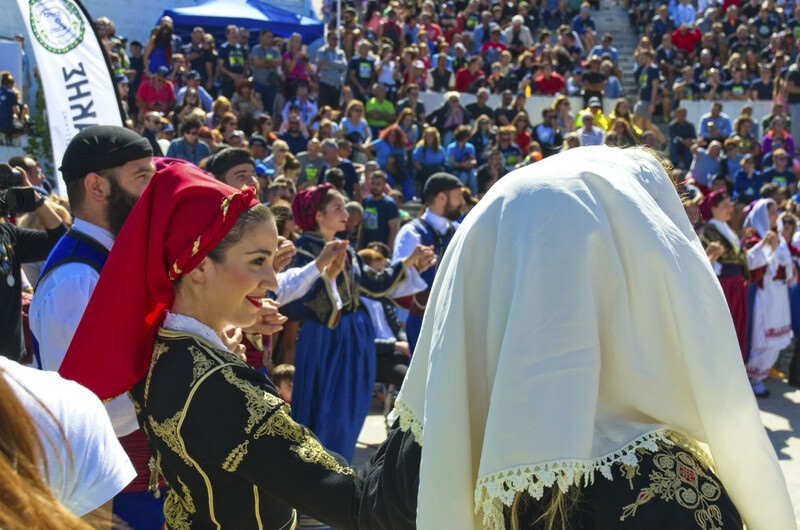 Participants took part, as in previous years, in 4 races (half marathon, 10km run, 5k run and 1km run for children), as well as a huge Cretan Feast that offered up free food, drinks, music and of course plenty of traditional dancing.